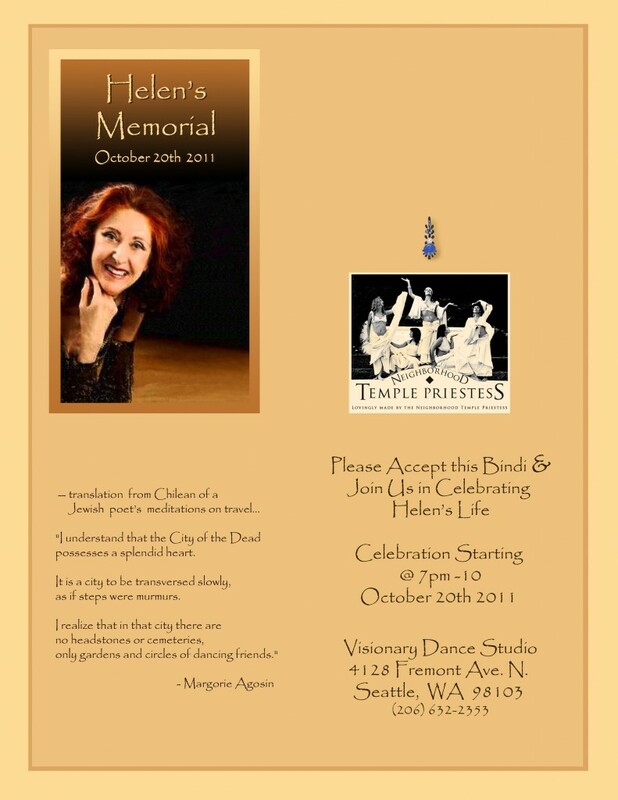 Dancers are invited to wear costumes and do a little dance for Helen. There will be a mix of dancers family and friends. Bring a little something that reminds you of your relationship with Helen. It will be given away because at the end of the evening each will take something from this collection home with them as they depart. • Candle Light Procession to the West by All. Bring a Pot Luck Item. Despite her slimness, Helen loved food! So lets make it a hardy pot luck ! We look forward to see all her friends.